Amazon has started a Whole Foods grocery delivery service through Prime Now. This marks the first major integration between Amazon’s e-commerce operations and its acquisition of Whole Foods. “We’re happy to bring our customers the convenience of free two-hour delivery through Prime Now and access to thousands of natural and organic groceries and locally sourced favorites,” John Mackey, Whole Foods Market co-founder and CEO, said in a press release. The new Whole Foods grocery service is made available only for users in Dallas, Virginia Beach, Austin and Cincinnati. Amazon Prime members will have the option to get the Whole Foods grocery orders delivered within one or two hours. Two-hour delivery is free, whereas the one-hour delivery would cost somewhere around $7.99 on orders above $35. Stephenie Landry, Vice President of Prime Now, Amazon Fresh and Amazon Restaurant, said that Prime customers living in the cities where the service has been started, would be able to order fresh produce, seafood, meat, flowers and most of the items stocked by their Whole Food stores, according to USA Today. “We might not have every last item that could be available in your local store but we’re going to have the vast majority of them,” the executive said. Amazon has plans to expand its Whole Foods delivery service across the U.S. later this year. The company has already partnered with various local retailers to deliver goods through Prime Now. Though this is a major integration between Amazon and Whole Foods, it’s not the only exchange between the two. Shortly after Amazon’s $13.7 billion acquisition of Whole Foods, products such as Echo and Fire TV were made available for purchase in Whole Food stores. During the holiday season, Amazon even came up with pop-up stores at Whole Foods locations to offer customers an experience of the devices and learn more about Prime. On the other hand, the online retailer added several Whole Foods items to its grocery delivery service – AmazonFresh. Further, Amazon’s website now has a Whole Foods online storefront. Sometime in the future, the online retailer is also planning to install Amazon Lockers at Whole Foods locations, notes GeekWire. In addition, Amazon discounted the price of some of the items at the 457 Whole Foods Stores after the acquisition. According to e-commerce analysis firm One Click Retail, Whole Foods’ 365 Everyday Value brand items are now the second most selling private label brand on Amazon. Further, the research firm estimates that as of January, Amazon accounted for 18% of online grocery sales in the U.S.
By diving further into groceries, Amazon is pitching itself against the largest grocer in the U.S. – Wal-Mart – and the largest traditional supermarket chain – Kroger. Over the past few years, both Kroger and Wal-Mart have expanded their online grocery businesses in North Texas with their curbside pick-up options. Wal-Mart also announced that Dallas-Fort Worth is its largest online grocery market, notes Dallas News. Amazon’s acquisition of Whole Foods triggered a whole lot of other acquisitions by the competitors. Target purchased Shipt for $550 million and Albertsons bought the meal kit service Plated for $200 million. 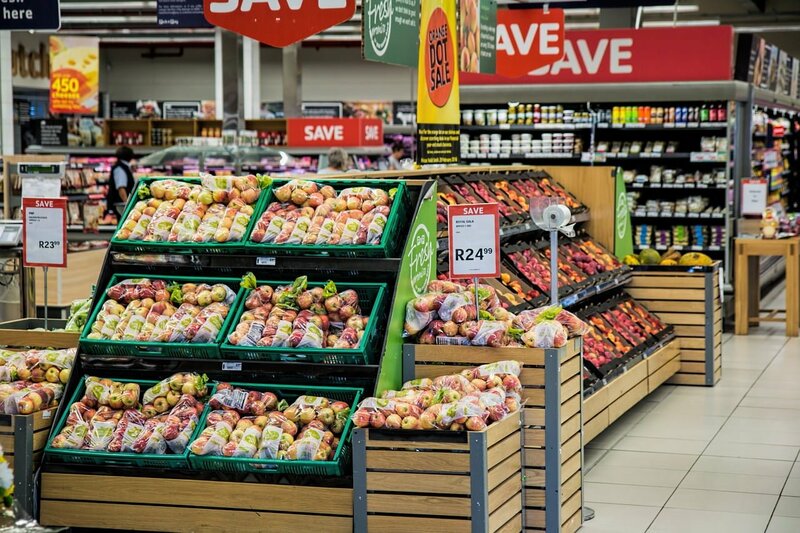 Last week, Kroger stated that it sold the convenience store chain for $2.15 billion to focus more on technology and supermarkets.